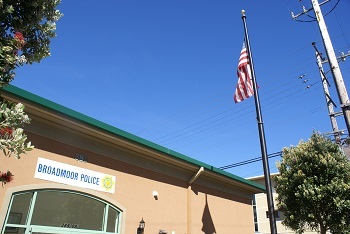 The registered owner must appear at the office of the Broadmoor Police Department. Vehicle releases are generally processed during regular business hours: Monday- Friday from 8:00 am-4:00 pm. The registered owner must present a valid driver’s license (Class M1 required for motorcycles). If the registered owner does not possess a valid driver’s license, he/she must bring a licensed driver with them. However, it is still necessary for the registered owner to show valid proof of identification (e.g. CA ID card). The vehicle being released must have current registration with the Department of Motor Vehicles. If the vehicle needs to be smogged before tags can be issued, the registered owner shall respond to DMV to pay the required fees needed to obtain a temporary operating/moving permit, and to secure a receipt for fees paid. These items MUST be presented to an employee of the Broadmoor Police Department before a vehicle release can be completed. After the vehicle is released, it shall not be parked on a public street or open off street parking facility until the registration is brought current. All outstanding parking citations against any stored vehicle must be paid prior to the vehicle’s release. A receipt for payment must be obtained from DMV and shown to a Broadmoor Police Department employee at time of release request. 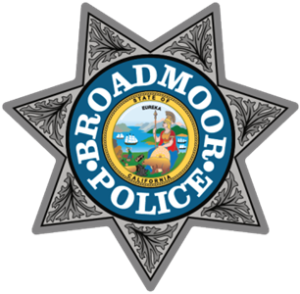 A cash only vehicle release fee must be paid to the Broadmoor Police Department. Only cash (in exact change only). We cannot accept checks or credit cards. Parking Citation Information INSTRUCTIONS FOR PAYING OR APPEALING A PARKING CITATION ALL APPEALS OR PAYMENTS MUST BE MADE WITHIN 21 CALENDAR DAYS OF THE CITATION DATE OR ADDITIONAL FEES MAY APPLY. Please Note: If you fail to pay or appeal a citation as directed, vehicle registration will be withheld. 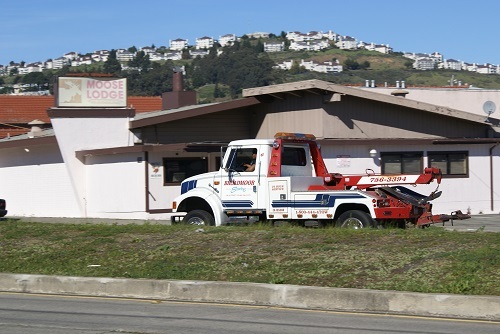 Repeated unpaid parking citations may result in the vehicle being impounded.